Skip the run-of-the-mill fashion of big brands and stand out from the crowd with a smart chic look. We're talking of flowy silk jackets, intricate embroidered skirts, Gamcha and jute shrugs and handloom fluid tops. If being unconventional is your style mantra, then hit this boutique in south Kolkata to get the complete smart chic look! 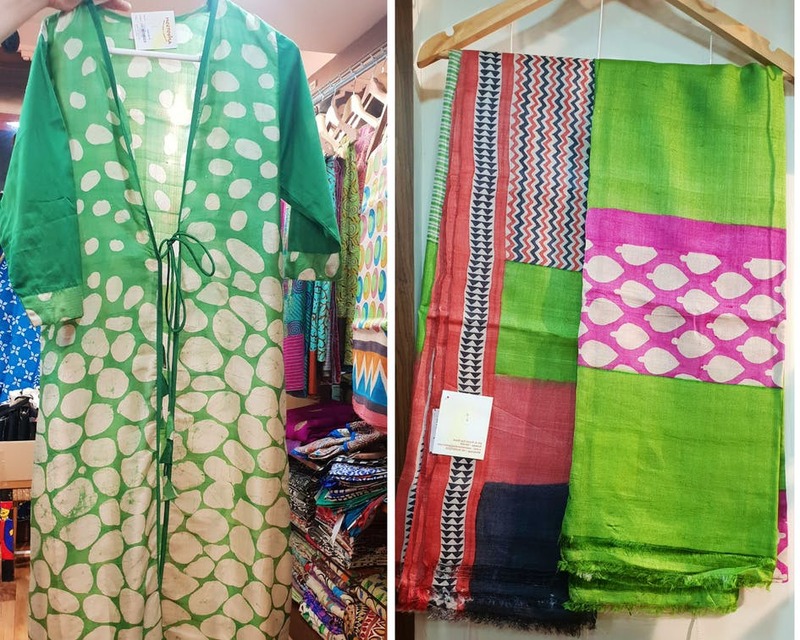 We are so bored of the identical cuts, the twining style and the old stock lining up the big stores that we sought to explore little boutiques around Kolkata to get a fresh look this festive season. And in Neerosha we found an amazing range of smart chic wear that will definitely shake things up and break the paradigm that cluttered look make for an unconventional style. We loved their colourful printed fluid cotton tops that'll flatter every body type. Team it up with their long skirts or sarongs that sport beautiful block-printed borders or fine whole body embroidery. Complete the look with their handblock printed silk jackets. You could also layer your look with their printed jute or vibrant gamcha shrugs. The printed silk stoles (they start at INR 650 onwards) are another fantastic pick to amp your look several notches high (they look fab with a dress or even with a skirt and top combi). The block-printed silk dupattas (priced INR 1,850), we spotted here, are equally smart and can transform any bland kurta or salwar suit. If you're looking for traditional ethnic wear, then you must definitely check out their mekhlas. The tops are available from INR 1,050 onwards and the silks jackets at INR 2,200. We were not kidding when we said you can actually get a complete look here. Accessories are important things in completing a look and this store's accessories made us fall in love with it! From folk art to motifs from Jamini Roy's paintings, ceramic, Afghan, chunky metal, cloth, and all that you can imagine, you will find it here. And though you may think it's not difficult to find them in the street side markets of Gariahat, the unique designs here will make you think otherwise. Jewellery starts at INR 250 here.